I still haven't received my coin yet, who do I need to contact? Your coin is in the second run because Kiddercorp got your full address late. But you are still on the list and it will be sent to you! 132 Regular and 179 Colour have been sold!! Any word on when the second batch ships? What is the preferred shipping method? USPS Priority? About 3-5 days to arrive once shipped? "The latest batch of PAX South coins have left the factory. They are arriving to our place tomorrow. We will get them shipped out tomorrow as well. People should have them on Saturday or Tuesday depending on where they live." Awesome sauce! For clarification, we should be receiving them between the 21st and 24th, correct? From what I understand, yes! WHOOOO!!! Just got my tracking number as well! Should be here just in time for PAX. RILMS, thanks again for all the help with this, as well as getting it all organized. I'm assuming that you're the person that organizes it each year, and if so, then I tip my hat to you. If that's incorrect, then I still tip my hat to you. Either way, you're getting a tipped hat. I'm glad to hear that people have been getting their tracking numbers!! Kiddercorp told me that they ordered more then was needed for the second run, so some people who were in the third run got theirs early! However, that messes up all of my numbers for how many we need for a third run to take place, lol. As with last year, it has been a lot of fun running the Challenge Coin and I am glad that you all enjoy it! I will have a pirate hat on at PAX. If you see me, come say hi! Will do. Will you be working as an enforcer or at a booth? Or simply partaking in the festivities with the rest of us? Only 12 more coins to go! Have people started getting their coins? Only 5 more coins to go!! These things continue to sell like hot cakes! Got mine today! It's much larger than I thought it would be! Got mine too they look great. My coins came in, looking amazing as the photos. One thing that doesn't quite show in the color pictures, is that the color coins are entirely coated in enamel, apart from the edges. This actually makes it somehow look more 3d than the one you can actually touch and feel(Non-color one). It just gives it some extra depth. Something I did notice though, is that in three different spots, the enamel has leaked onto the ridges on the side. Just a little minor note, barely noticeable unless you look for it. Both versions are beautiful though, well worth the $14. 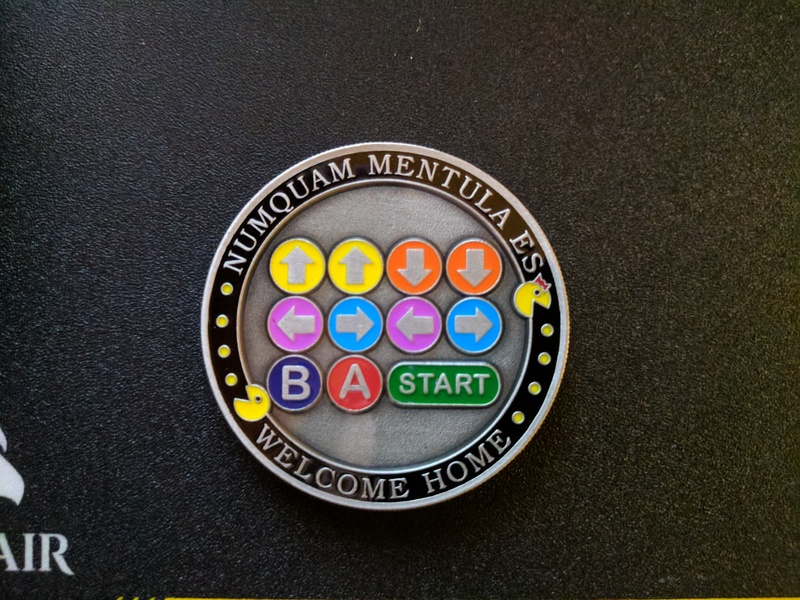 Just ordered 3 color coins! So excited that these are a thing and my PAX hype is through the roof right now!!! We have met the minimum needed for the third run! The order form will be kept open for 2 weeks after PAX to accommodate people who see the coins at PAX and then want to buy them. When you're at PAX, take photos of land marks for the 2018 coin! I had a wonderful time at PAX South 2017!! I met a few people who bought coins, enjoyed talking about them on the panel and I was able to get coins into the hands of Mike, Jerry, Scott Kurtz, Katie Rice, Chris Perkins, and Patrick Rothfuss. I tweeted at Morgan Webb, but wasn't able to meet up with her. Thank you everyone for helping with this project! Coins will still be available for purchase until Feb 13th and then they're be gone forever!! I'm sorry, I couldn't resist. This totally popped up into my head after I read your message. 142 Regular and 203 Colour coins have been sold!! Ordering ends on the 13th of Feb!! Should I be worried that my coins haven't arrived yet? 145 Regular and 204 Colour coins have been sold!! Last Day to buy coins before they are gone forever! Thank you everyone who has ordered coins!! Once again, this has been a great experience and I am happy that everyone has enjoyed the coins. So I thought we ordered our South coins...and turns out we never did. If anyone has an extra they are willing to part with let me know. Regular or Color, doesn't matter. TIA. I was wondering when they were supposed to be shipped. I never received mine. "The 3rd batch of PAX SOUTH coins are done and they just arrived from the factory. I am going to try to get them out to you all this afternoon." Just got my coins from the third batch.  An odd little note, the shading is much lighter on the third run, than on the second. Still looks great. Interesting...maybe something got changed at the factory or something. Glad they found you though! If anyone is interested in selling me a PAX South 2017 Challenge Coin, please send me a private message. (I prefer color, but still interested in normal) Thanks!